We are a Niigata prefecture based creative dance group founded in 1986. We showcase 30 stages a year. We are promoting activities to boost the local cultural capabilities and to energize society as a whole with entertainment as a member of Power of Culture from Citizen Project by The Agency for Cultural Affairs. This year is the 38th anniversary of Fukuoka prefecture and Hawaii State sister state relationship . It’s all started when Mr. George Ariyoshi, a Japanese American from Fukuoka Prefecture, was appointed Governor of Hawaii. Since then the two states have conducted cultural exchanges in various forms. Hula O Makana was founded seven years ago, this year our dream to participate in the Honolulu Festival has come true. We would like to have lots of Hawaiian mana. In addition to ribbons, we use cotton and silk fabric to make cute small items with traditional methods such as Tsumami Zaiku (pinching method) and Tsurushi Kazari (Hanging decorations). We are from a university in Kansai. We will be supporting the operation of the Honolulu Festival in hope of learning about jobs at travel agencies and event planning! 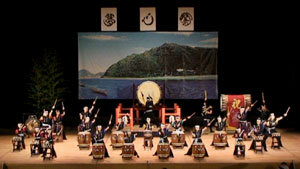 Gifu Souden Taiko group was founded in June 1989 and this year marks our 30 Year Anniversary. Our group consists of a wide range of age groups from kindergarten children to adults. This is our 4th participation to the Honolulu Festival for the first time in 15 years as our 30 year celebration. 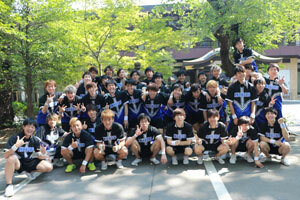 We are a male cheerleading team ANCHORS of Meiji University! We are a rare cheerleading team consisting of only male members. We will show you a lot of acrobatic performance. GO! ANCHORS! We are learning what hospitality means in our seminar “International tourism and hospitality”. At the Honolulu Festival, we would like to offer the spirit of Japanese hospitality through volunteering. 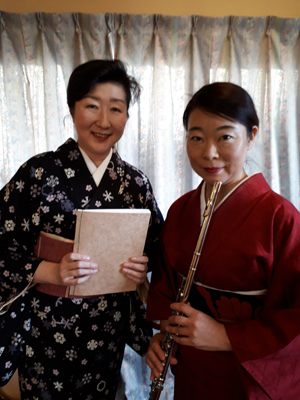 “Aneko” consists of Masako Nakamura, who reads out Dazai Osamu’s work in Tsugaru dialect and Mariko Morita, who express her world using Shinobue and flutes. 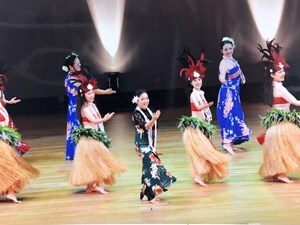 For the first time we will show off our performance in Hawaii. Please also enjoy our kimono too. Higuchiya is a kimono shop. We have been in business for 108 years. 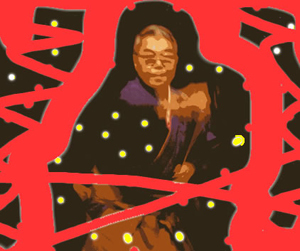 We believe that Kimono is a world-famous Japanese traditional costume. 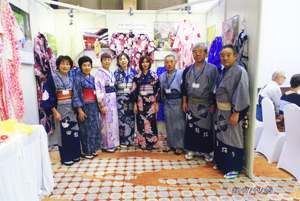 For this time, we will showcase yukata, which we wear to fireworks and festivals, in summer. We have been dancing for 23 years with a motto of simple, smile, enjoy, and unity. 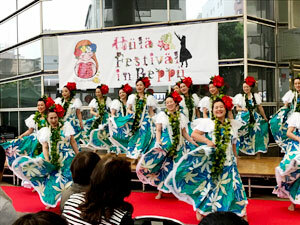 Through the Honolulu Festival, We would like to move forward with full energy and smiles. We will enjoy dancing! Wish us luck! !